Elounda is a small and beautiful fishing town located at the southeastern part of Crete and is very popular as a destination for local and foreign visitors. Elounda is an ideal place for summer holidays and there can be satisfied even the most pretentious visitor as there are activities for all. The area hosts archaeological sites, places which can visit the nature lovers and places for sport and athletic activities as golf, biking, walking and scuba diving. 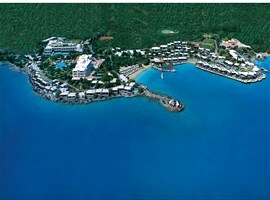 Also, Elounda is famous for its luxury hotels as it is said to be the place with the most five-star hotels in Greece. The resorts in Elounda are visited by a lot of famous people like ministers, film and music stars and Arab princes with their big families. 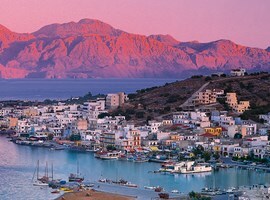 May you think that with so many luxury hotels and famous visitors, Elounda is a very expensive place. But this is not true. The prices in Elounda are similar to prices all over Crete as you can find plenty of small hotels, apartments for rent and places for food and entertainment for every pocket. 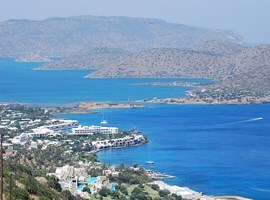 Elounda is a great destination for people who love the sea and want to spend their hours into or out of it. In the area you can find a lot of clean and beautiful beaches to enjoy swimming. Some of them are free for everyone and some others belong to hotels. For example, the Central and the Eastern beaches are free and organized so you can have umbrellas, sunbeds and other services and also you can feel safe as always there is a lifeguard to help in possible case. 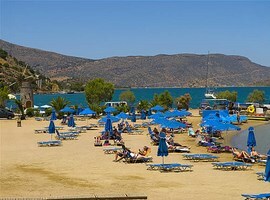 If you are not very shy, near the road which drives from Elounda to Peninsula there is a nudist beach. If you are sport type, you are lucky as a wide range of sports are available in the area. At the mainland part of Elounda you can concern yourself with golf, horse riding, hiking and free climbing, cycling and walking in places with breathtaking, natural beauty. If you want a sea entertainment you have choices as fishing, sailing, watersports and diving. For adventure lovers, it’s suggesting a unique sea experience, scuba diving down a steep incline, known as the “wall diving”, where one descends through crystal clear waters down to a depth of 30 meters through the deep Mediterranean blue onto the sandy sea bed. At night, you should experience the dark side of the sea with a night scuba diving with torches, where the impressive colors and the sleeping fishes will idly float in front of your mask and you will feel a simple serenity to fill your mind and body. Ideal options for families or friends who travel together are the day excursions. In the area are two caves ready to explore. The cave of ‘’Cronus’’ (Zeus’ father) and the cave ‘’Dikteon Andron’’ which was sacred to the Olympian ancient god Zeus. Also, if you want information for the local flora and fauna, visit the ‘’Lasinthos Eco Park’’. After your educational walk you can eat a tasteful traditional meal at the same place. If you don’t have problem to travel for 78km, you can visit the incredible ‘’CretAquarium’’ which is near Heraklion and covers an area of approximately 5000 square meters. It hosts a research center, technology, education and recreation facilities. Its size and its exceptional design make it the largest site of its kind in the Mediterranean. When you arrive, you will be impressed by the contemporary building, whose architectural design similar to a ship with its bow pointing towards the western horizon of the sea. You have to spend about one hour, if you wish to examine all the organisms and exhibits. For nightlife entertainment there are a number of clubs available which offer music and ambience for all ages and tastes. For food, there is a great variety of local, traditional eat houses and dining restaurants with charming and romantic atmosphere. At the traditional villages you can spend a day for shopping and buying authentic local items and learn about healthy Cretan recipes (based on the Mediterranean dietary) which passed down from generation to generation. It’s a good opportunity to taste the famous local hospitality. 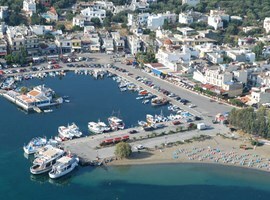 The touristic resort Elounda is 75km away from Heraclion, 160km from Chania and 11km from Saint Nicholas in Lasithi. The entire roads of Crete are excellent and the transportation from Heraclion (the biggest city of Crete) to Saint Nicholas is frequent. 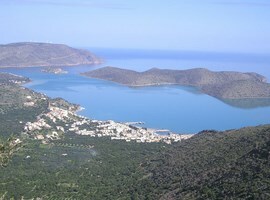 By air, Elounda is connected with the rest of Greece and the entire world with the international airport of Heraclion (75km as it’s already mentioned). 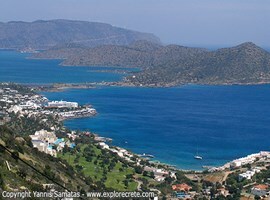 Also, 11 km from Elounda is the port of Saint Nicholas in which arrive ships from Piraeus and from Aegean islands. 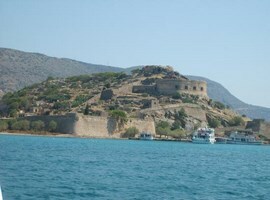 It’s very easy and quite low cost to travel to Elounda. It’s recommended to visit this place as it has a unique beauty which can excite every one of us. Do not miss this opportunity!